A brief visit to the Outer Hebrides last year gave us the chance to explore the fabled woven cloth a little bit more, which only fueled our respect for the culture and tradition of HT and those who have made it for over a century. The industry has waxen and waned over that time; recently, Yorkshire businessman Brian Haggis bought Kenneth Mackenzie Ltd in Stornoway, which at the time accounted for about 95 per cent of HT production. Haggas then reduced all 8000 HT patterns down to four, refused to sell to any one else and started producing exclusively for his own garment production in China. His efforts led to the closure of several mills producing the yarns used in HT production and the redundancy of many millworkers and and did not bode well for the future for the industry. 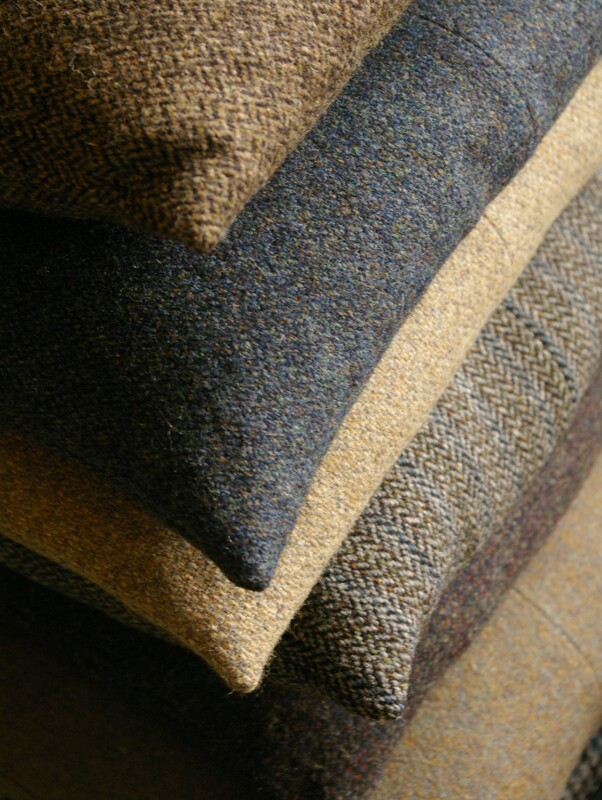 However, a combination of the efforts of another local company, Harris Tweed Hebrides, and a renewed interest from local and international clothing and interior designers seems to gently suggest the possibility of a more diverse and robust future… for a far more informed view on the subject, Mike Donald’s blog, the croft, is well worth reading. Having spent many years on the mainland, most recently as a publican in Glasgow, this native Hebridean has returned to Lewis to undertake a weavers training and posts regularly on HT as seen locally and around the globe and other aspects of island life. Also interviewed here. This interesting BBC article on HT is also worth a view if you’re keen. So Dad and I inadvertently started collecting HT jackets, really because, despite being reclaimed by the odd Fitzroy dandy and worn at events like the Glasgow and Melbourne Tweed Rides (still can’t believe I missed ours! ), mostly these jackets (often with outdated cuts or the odd moth-hole) languish in wardrobes or on opshop racks. Which seems too much of a shame. After rapidly accumulating half a dozen, we realized we were going to have to face the philosophical dilemma of what to do with them. Some we found were old– whether obviously well-worn or made of patterns that I’d not seen in the new models for sale in Scotland. Others showed no sign of wear but were incredibly beautiful in their patterns. And the majority were lovely (aren’t all HT lovely?!) but much more standard herringbones and barley twists. Perhaps I am too pragmatic sometimes but my feeling is that things should be used, especially clothes and textiles. I’d much prefer that, when I’m dead and gone, someone will unravel one of my handknit jumpers to reuse the lovely yarn than leave it sitting in a jumper drawer gathering dust and moth poo. So we decided that those jackets that were either old and interesting, lovely and/or a good cut should be left untouched so that they could be used by my dad or someone else and that all others were fair game for upcycling into something else. 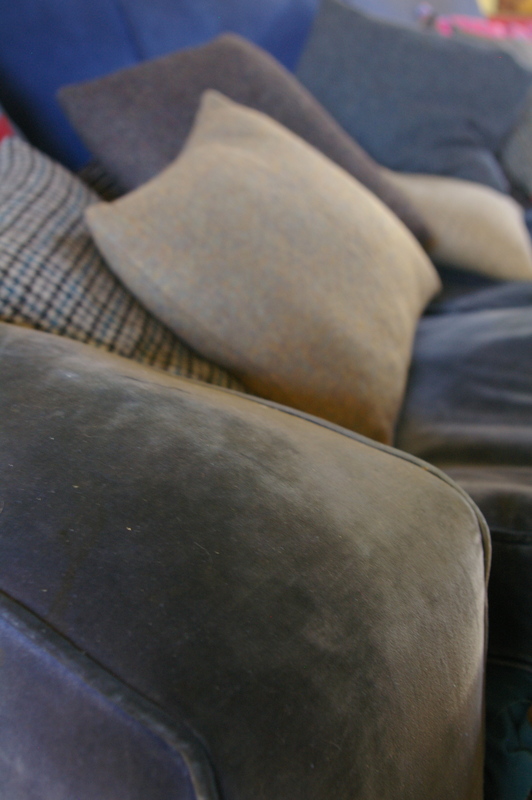 After lots of careful unpicking and lots of thought, last week I finally took the plunge and used some of dads share to cover some old cushions of his. Very simple, nothing fancy- but they are lovely together. This entry was posted in family, textiles on December 7, 2011 by admin. 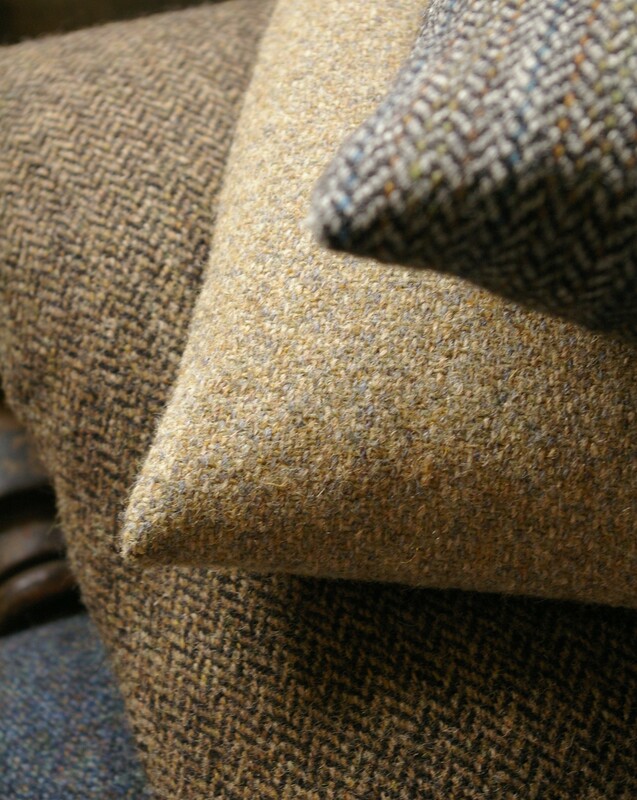 Ooh love Harris Tweed. Shame on that Yorkshireman, he should be exiled, to Lancashire! Good job with the cushions too, they look lovely. Thanks a lot! So, Lancashire, huh? Is that the equivalent to the rivalry between Sydney and Melbourne?! And also a huge thanks for the offer of rhubarb- I’ve been meaning to reply all week- but I have 3 crowns going, a gift from a friend of my dads who dug them up from her old country garden so a lovely variety. You’re too lovely! I love HT. It’s a bit harder to come by in charity shops here in Canada, but the other day I found a stunning long winter coat for myself for $10. I was so excited. Your pillows look absolutely lovely! 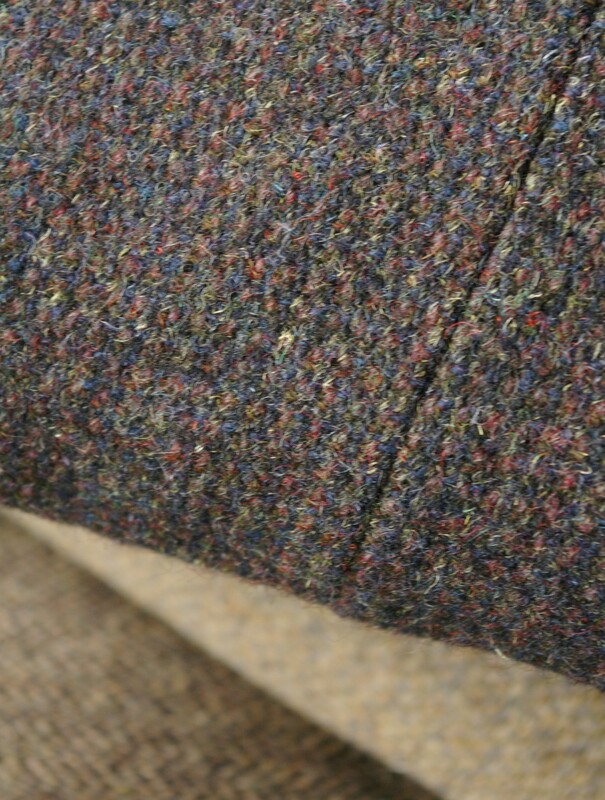 Tweed is so lovely, I just want to reach through the computer to touch it. Great idea to use them for cushions. Cushions! What an inspired idea! A lovely reuse for a beautiful fabric that might be trapped in a garment that is no longer wearable. 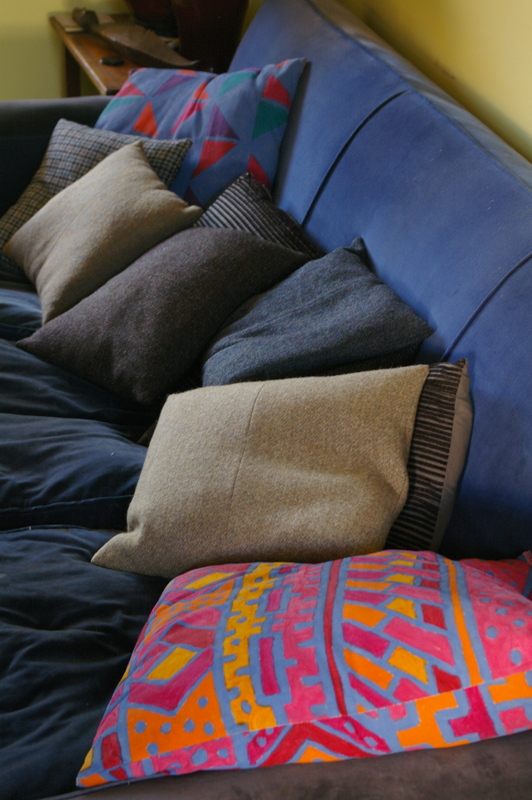 Gorgeous cushions, and I totally agree that these fabrics should be used ! I’m just envious … I want a HT collection too !! Thank you! There should be more over your way than here? Or has it never lost its appeal in the UK the way it did here? I absolutely love your cushions. 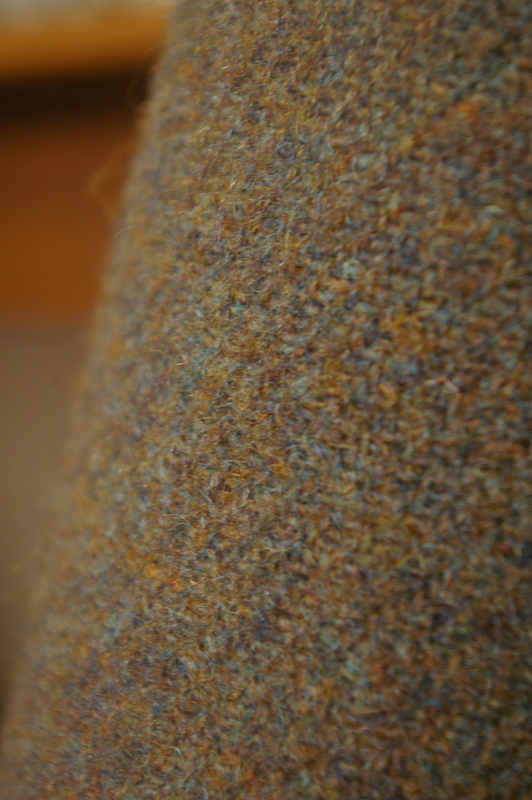 Yes, I too used to have a beautiful Harris Tweed jacket from the op shop, sadly, I now only have the wonderful brown leather buttons. I wish I still had it. 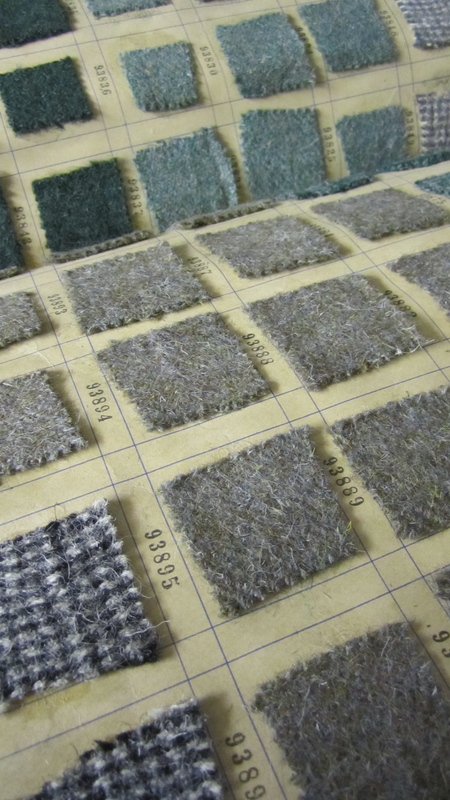 Wouldn’t it be great if we could all do a Harris Tweed Weaving apprenticeship!